I don't know about you and where you live, but we New Englanders have had enough of winter! It is "spring" officially and yet - on Friday - we're in for more snow. Like half a foot of the white stuff. "Snow" has officially become a four-letter word around here. But I have to tell you, one thing I'm not tired of that is new to me this winter, is oatmeal and the benefits of it.﻿ I have been a creative fool with the stuff this long, cold winter - in particular, with Coach's Oats! 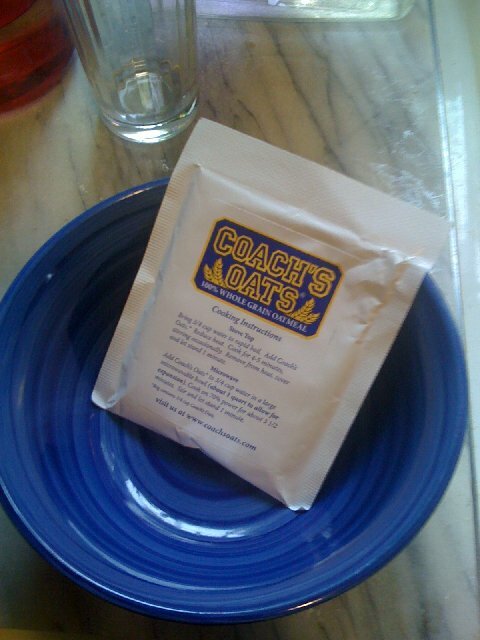 Coach's Oats is celebrating my 2nd year anniversary with me and have been so generous in offering the first four people who comment on this blog post and follow them on Facebook free samples of their delcious oats. Simply leave a comment here, follow Coach's Oats on FB, and then send me your email address (my email addy is in the right handed column on Healthy Loser Gal blog)! So easy, huh? I would love to try them. I eat oatmeal every day for breakfast! Off to facebook! I'm a huge oatmeal fan and would love to try Coach's Oats. Now to Facebook! Okay, ladies - congrats! You four will be rec'g the Coach's Oats packs! 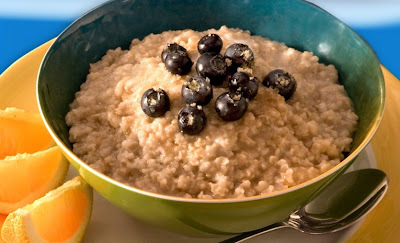 Thanks for reading the Health Loser Gal blog and I know you're going to love the oats! Let us know when you receive them & how you like Coach's Oats! :) Thanks! I am curious about the oats, I don't like regular instant oatmeal so I will have to look for coaches oats. Not to run it in but it was 80 degrees in norther California today. Thanks, Jan. Email is being sent to you today!